Let everyday be Mother’s Day, but… 1941. The observance of Mother’s Day throughout the world was a great day. Every mother has a respect to mankind for she is queen among her friends and family. 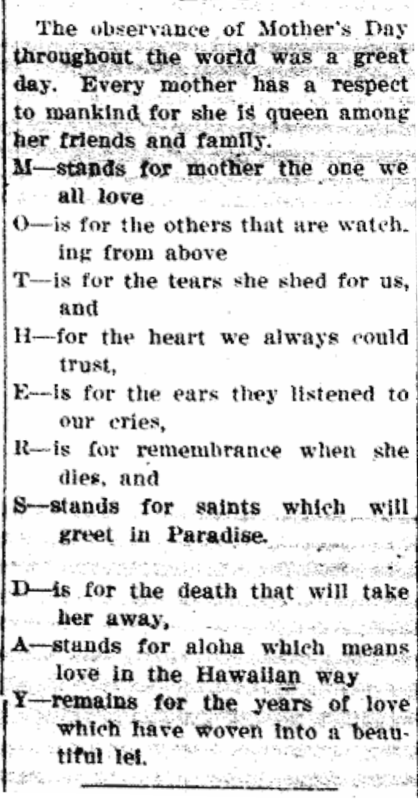 S—stands for saints which will greet in Paradise. Y—remains for the years of love which have woven into a beautiful lei.